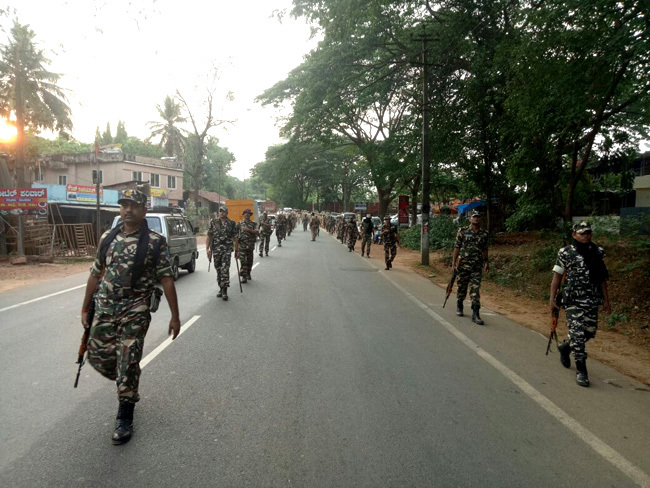 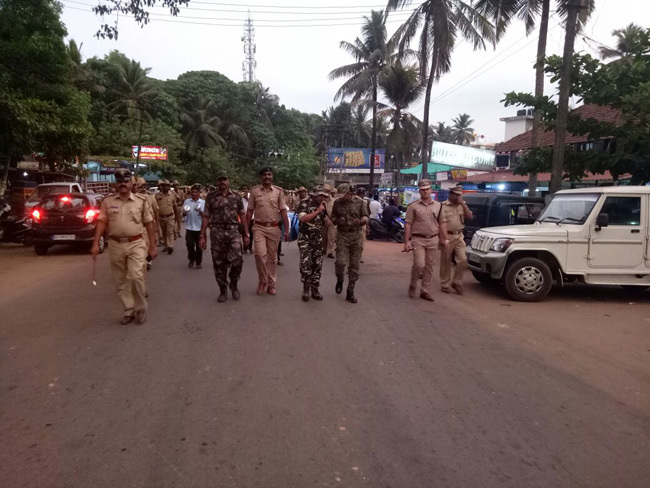 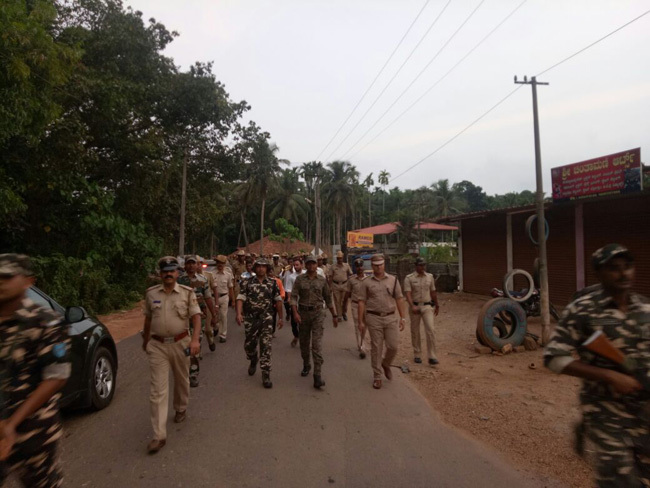 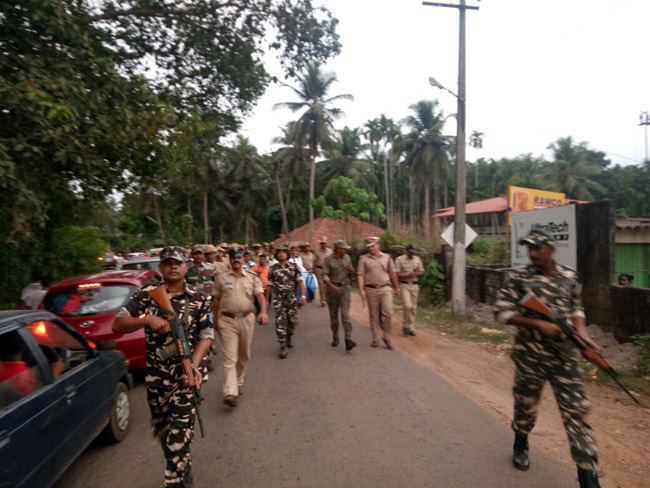 Bantwal, 16 Apr 2018: At the backdrop of upcoming Karnataka legislative assembly elections, the platoons of Special Forces and Bantwal police held a flag march at the communally sensitive Kalladka, near here, on March 12. 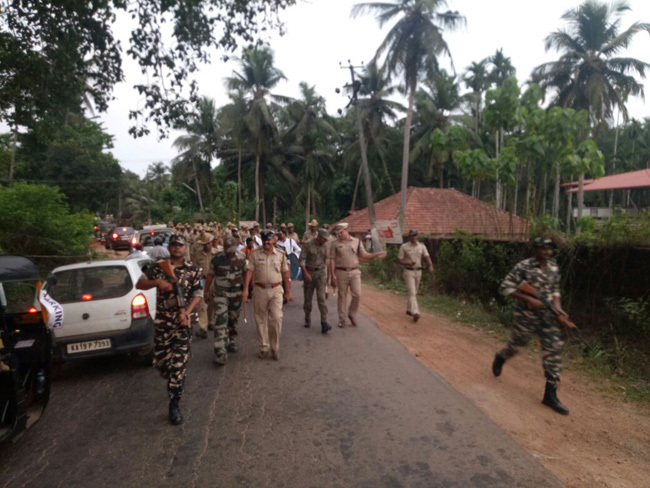 It was accompanied by traditional band and trumpet melodies. 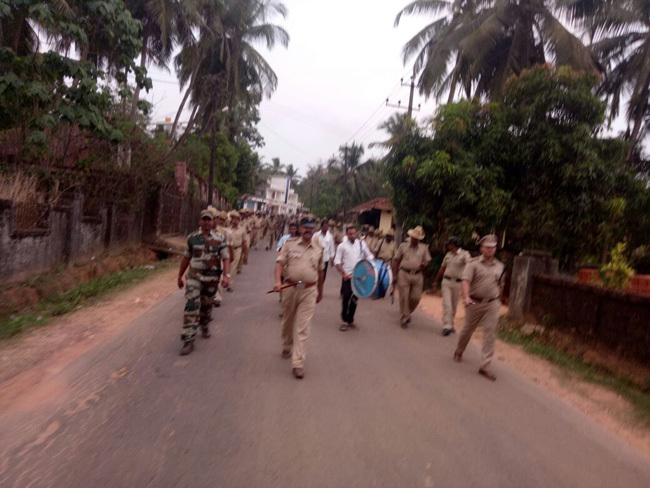 It began from K C Road passing through Kalladka town towards Goltamajal and returned to Kalladka. 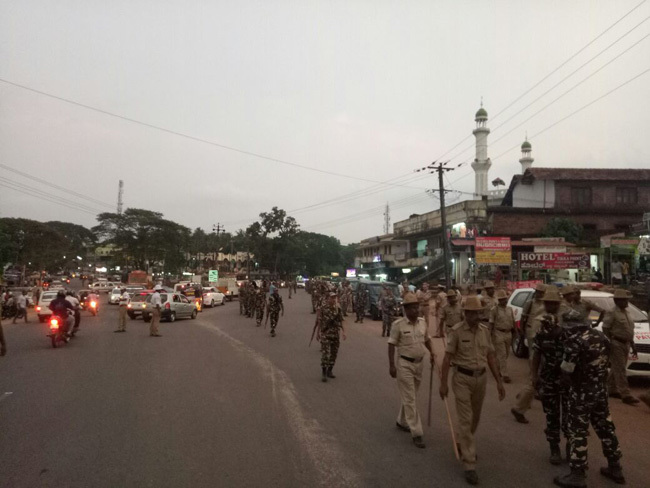 Suraksha Seema Commandant Dhiraj Saha, Additional SP Sajit, probationary officer M Hake, DySP Srinivas, Bantwal rural police sub-inspector Prasanna Kumar, Bantwal town sub-inspector Chandrashekar, crime sub-inspector Harish, traffic police sub-inspector Yallappa, all police personnel of Bantwal circle participated in the march.